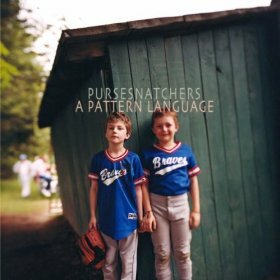 Contrary to what the band name implies, Brooklyn-based Pursesnatchers lack hostility and desperation on A Pattern Language, and instead seem rather calm and sunny. Their lo-fi sound has some pretty good energy (do I dare even say, it’s a bit dancey?). While the band is bracing themselves for Yo La Tengo comparisons with the release of this album, I think Stellastarr* (also from New York) circa 2003 would be most accurate. I also hear hints of The Pixies and Interpol. This album would fit nicely into any 80’s movie starring the Brat Pack (surf on over to Wikipedia youngsters). This album is the perfect backdrop for waking up in the morning and transitioning into your busy day or from your busy day into evening.